Though you may have taken the winter off from flea and tick prevention because your dog is not spending time outdoors, it’s time to start up again before spending extended periods of time in the park or any wooded areas. These pesky bugs can be a nightmare to get rid of and can carry diseases that could prove fatal to your dog. Protect your dog with any one of these flea and tick products for dogs. Make sure to get your dog’s animal license renewed and securely fastened to their collars. Having proper tags on your animal will ensure you’re reunited with your dog should they be separated from you. Another one to brush up on any time of year, staying on top of your pet’s vaccinations is especially important during springtime. Dogs are spending more time in the park with each other and are likely to come across some new puppy, or raccoon or squirrel, friends. Keeping their rabies, parvo and distemper vaccinations up to date will help protect your pup from potentially deadly diseases. While you clean out the closets and change your sheets, take a few minutes to focus on your dog’s area. 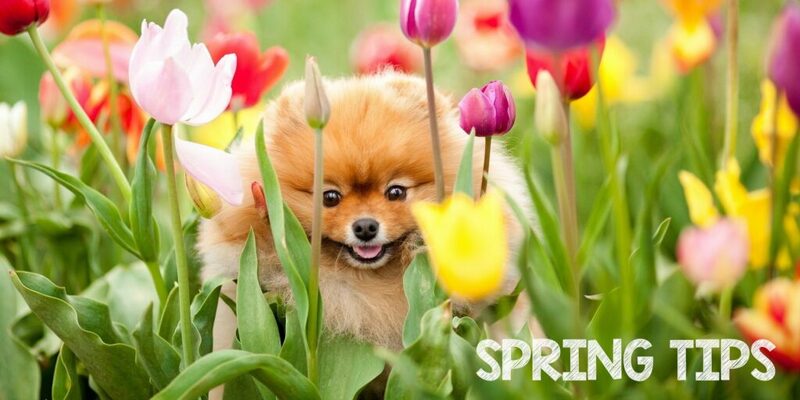 Wash or change their beds, kennels and food dishes for a fresh, spring start. Why dogs don’t live forever?